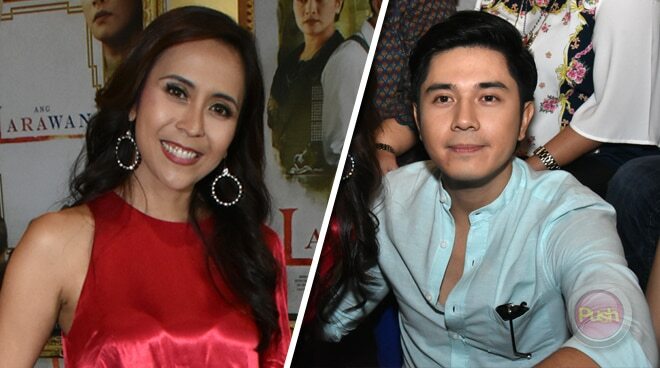 Rachel Alejandro has arrived at a new realization after doing her intimate scene with Kapamilya leading man Paulo Avelino in the 2017 Metro Manila Film Festival (MMFF) entry Ang Larawan. Without detailing the actual scene, Rachel shared that it features their characters Tony and Paula. While she is no stranger to acting on the big screen and on stage, Rachel was somehow taken aback when they shot the said scene. “Matagal na akong di gumagawa ng film. [I realized] it’s so technical, so precise pala,” admits Rachel. “Pag tinignan mo sa film, ang ganda ng ilaw, parang ang bango-bango namin. Pero sa totoo lang, pawisan kami. Malagkit. Lalo na ang init sa bahay. Yung damit ko mukhang basahan kasi yun ang role namin—naghihirap,” she added. Despite the tedious scene, Rachel lauded how Paulo handled the scene. “Very professional naman,” said the actress-singer. Rachel likewise shared that she is no stranger to torrid kissing scenes but she was able to rest easy over what she did for the film all thanks to their director Loy Arcenas. “Very tasteful ang treatment ni Direk Loy,” Rachel explained. Catch Ang Larawan starring Rachel Alejandro, Joanna Ampil and Paulo Avelino in cinemas nationwide starting December 25 as par of the 2017 Metro Manila Film Festival.